If you are looking for a fun, action-packed skill-building camp for your budding basketball player in grades 4-9, now is the time to sign up for the Skills on The Hill Girls’ Basketball Camp!! In case you didn’t know, I am the varsity girls’ basketball coach at The Hill School in Pottstown, and I will be running the camp with my sister, Michele Repko Dunleavy. We both have played the game at the high school and college levels and have many coaching years between us. Michele was named PAC-10 Coach of the Year in 1996! The camp will run from June 17-20, from 9 am – 3 pm. The cost of $235 includes lunch, a t-shirt, and supervised swim daily, in addition to guest speakers, skill-building, and games. Michele and I ran a summer camp at Princeton Day School for 5 years so we are a well-oiled machine! Your daughter will have tons of fun and learn — just what you want from a summer program. If your son would like to go to hoops camp too, there is a boys’ camp running the same days/times. They will also be teaching younger players – boys and girls – from 1st-3rd grades, so check that out as well if it fits your family’s needs. The brochure can be found here. It’s got all the info you’ll need to sign up. If you have any questions, feel free to email srepko@thehill.org. Registration for the Pottstown Area Police Athletic League dek hockey’s spring season will be held on Saturdays, January 11, 18, and 25, from 11 am to 2 pm, at the PAL office on 146 King St., Pottstown, PA 19464. Boys and girls from age 5 to 17 are welcome to play in this sneaker hockey program. Further information is available at www.pottstownpal.org. Any questions should be directed to padhapal@gmail.com. The Pottstown Area PAL serves over 200 area kids and also provide them with free equipment. They have just resurfaced our rink hand have fall seasons in addition to spring seasons. Check them out! Pottstown’s Schuylkill River Festival this Saturday! 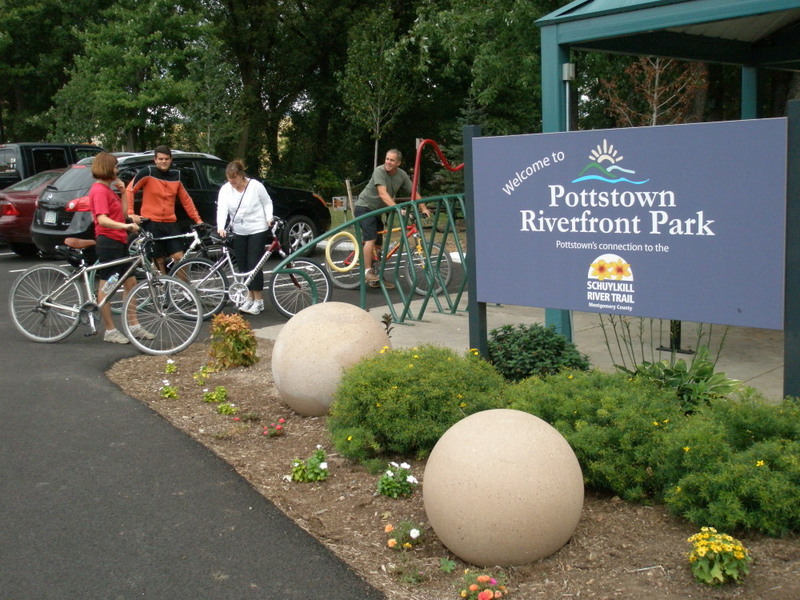 This year’s Schuylkill Riverfest takes place on Saturday, Oct 12, 2013 from noon until 6pm at Riverfront Park (140 College Drive in Pottstown). Learn to Kayak along the river between 12 and 4:30 where kayaks and equipment will be available for a low cost ($15/half hour) through the day. Take a kayak tour at 4:30: Take a 2-mile paddle trip to Tow Path Park – shuttle & equipment is available at a small cost of $35. You can register the day of or go to https://www.facebook.com/TakeItOutdoorsAG or takeitoutdoorsag@gmail.com or 610-656-3969 (first come basis). Historic River Walks at 1:00pm AND 4:00pm – presented by the staff of Pottsgrove Manor. Artists and Crafters will be present to display their creative arts and local music will be heard throughout the day! Join in for the First Annual “ARTICLE EVENT” in which we provide your pallet (a bike and recycled materials) and YOU provide the creativity! Please contact Sheila Dugan for more information at 610-323-5400 – We will have a Peoples Choice award given to the most creative bike – $200! Magician-Illusionist Kyle & Kelly will entertain at 5pm and then move into the downtown at Steel River Playhouse where they will wow the adults as they await the curtain call for “Spring Awakening” – (This musical is suggested for 15 years and older – adult content) – OR after a lovely dinner at the local restaurants (where more local music will be performed) – join ARTFusion19464 for their show “We Were Soldiers” between 6pm and 8pm in the downtown. Live music throughout the streets and art throughout the restaurants! 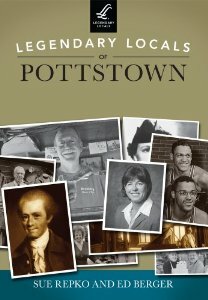 Come see what’s happening in Pottstown! Other Activities include Belly Dance demonstrations, Reiki, Palm Reading, Card Reading, A Drum Circle, (bring your drum and join in), Yoga Demonstrations and Martial Arts, Minute Massages, and more . Food vendors and A Beer Garden will also be available for everyone to enjoy this fun day! Children’s Activities will include Pony Rides ($) and a Petting Zoo from 12:30 to 4:30, Crafts and Face Painting from 12:00 to 6:00 pm brought to you by ArtFusion19464, and at 5:00 pm enjoy the Magical Illusions of Kyle and Kelly. Rainbow the Clown will be present all day long to have balloon sculptures and face painting as well. Help send The Pottstown High School AP Gov. and AP Calc. students to Greece! They will be selling baked goods to help them raise funds for this fabulous opportunity. Don’t forget from 6 to 8pm the fun continues in the downtown! Join our restaurants for some fabulous food and end at ARTFusion19464 for their “We were Soldiers” Display – stories about Vietnam from Veterans of the war. ALSO Steel River Playhouse is having their Musical “Spring Awakening” (adult themed) starting at 8pm. Kyle & Kelly – Illusionists will be in the lobby between 6:30 and 7:30 to entertain you while you enjoy the atmosphere of the theater. Grumpy’s will be having live music by Michael Kropp, local musician playing classic acoustic pop-rock as well as a complimentary light hors-d’œuvre spread. Visit the Brick House for their nightly specials and enjoy their newest menu items. West End Alley is now open at 105 High St. Juan Carlos welcomes Russell Ferrara and Acoustic Duo “Lights Out” will be playing along the street in the downtown between 6pm and 8pm. 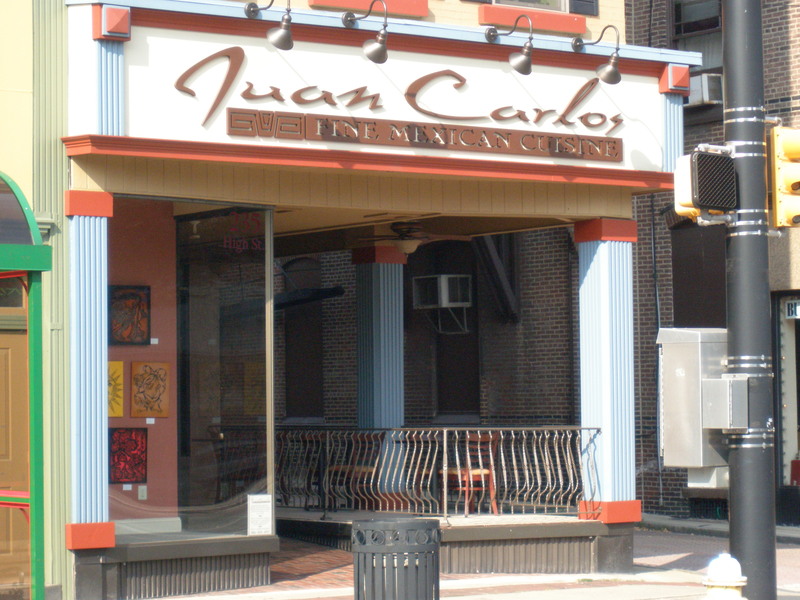 Join Pottstown as it shows you the arts and fine dining available throughout the downtown! First United Methodist Church is holding its 2nd Fall Family Fun Fair – FREE to ALL – on Saturday, September 28, 2013 from 10 a.m. to 2 p.m. at the church, 414 E. High St., Pottstown. There will be a Bounce House, Pipper the Clown, Juggler, Face Painters, a Duck Pond, games & prizes, crafts, and live music. A LIVE reptile show will be held at 10:30 a.m. in the Community Room. A free hot dog lunch will be served from noon to 2 p.m.